Above: Carolina Lightnin' 2011 Reunion Day Video with Rodney Marsh and former players / staff. Former QPR, Man City, Fulham & England legend RODNEY MARSH hand-signed poster celebrating the 30th anniversary of the Carolina Lightnin' winning the NASL Championship Final in 1981. Marsh was the Head Coach and CEO in his first season in 1981 when he led the Lightnin' to the North America Soccer League title. 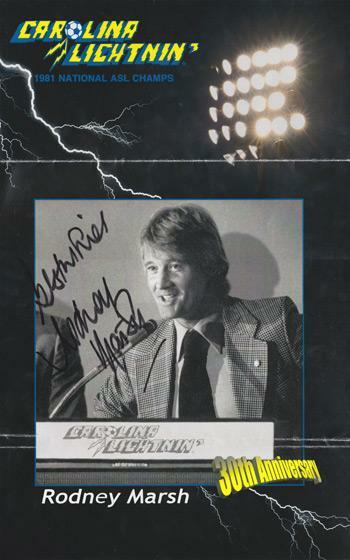 The large 18" x 12" card poster is clearly signed "Best Wishes Rodney Marsh" in black ink. It has two folds running the width of the poster but given its size it is otherwise in very good condition - with the large image of Marsh and his autograph both unaffected. 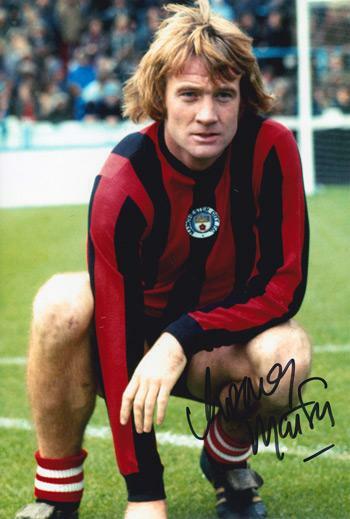 Signed Manchester City A4 photo. 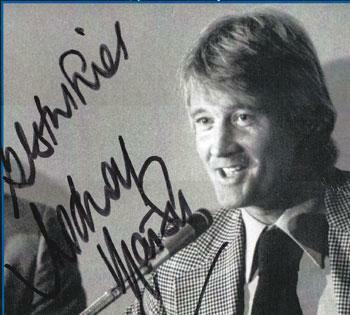 Welcome to the Uniquely Sporting Sports Memorabilia page for Rodney Marsh football memorabilia and Rodney Marsh memorabilia, and other soccer related football collectables and signed souvenirs for the QPR, Man City & England football legend and Tampa Bay Rowdies & Carolina Lightnin' NASL memorabilia.